I adore almond butter down the center of celery spines. The sticky texture of the nut butter is mellowed by the moist celery, and the stringy crunchy celery texture is enhanced by the rich nut butter. It's a wonderful complement. The result is more than the sum of its parts. In a smoothie, I like them even better. This smoothie is particularly beneficial due to it's high levels of both naturally occurring sodium and potassium, allowing full cell hydration. Although I recommend it twenty minutes after exercise, not before. If you're having this before exercise, at least an hour should be allowed of rest for digesting. Blend the above in your blender until smooth. 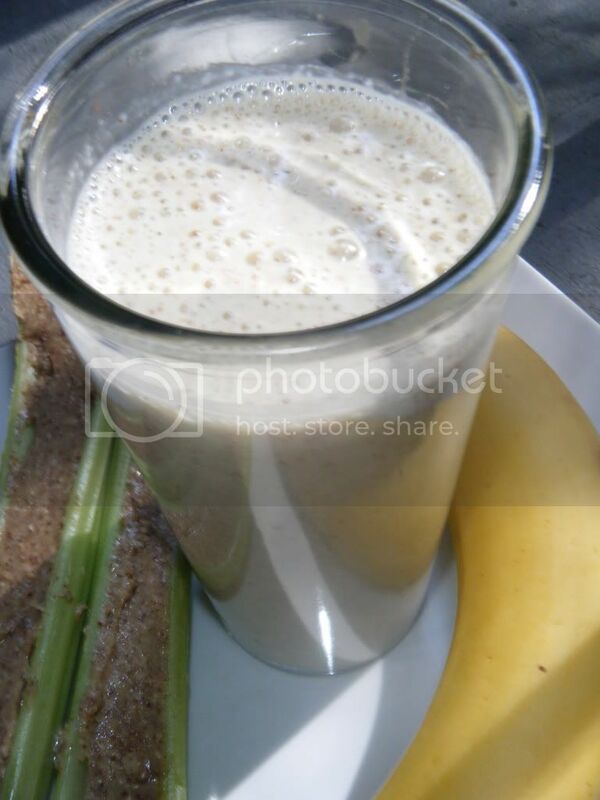 I recommend blending the almond butter and celery until nearly smooth and then adding the banana. You may desire less almond butter, depending on your taste.